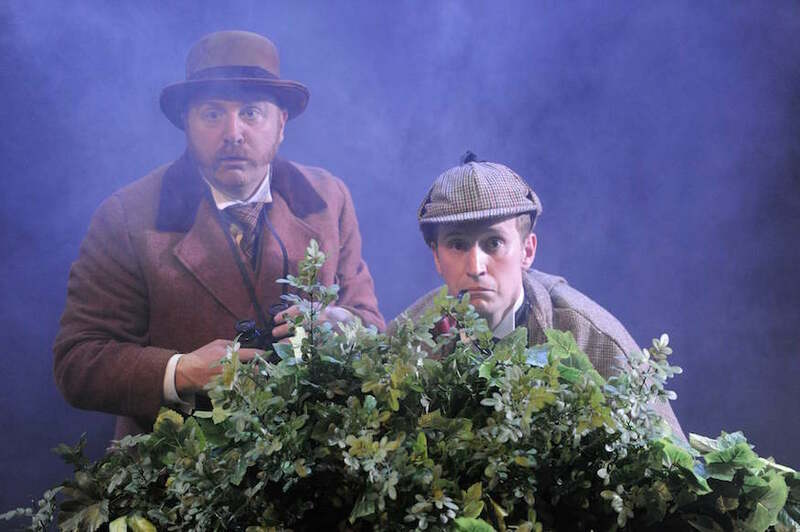 Sir Arthur Conan Doyle’s story of a spectral hound that haunts the foggy fields of Dartmoor makes an uproarious appearance at the Jermyn Street Theatre. As the smoke machine hisses and envelopes the audience into the spooky goings on — will the Baskervilles be doomed to replay the family curse and be hunted by the demon dog? — the jokes come as thick and fast. 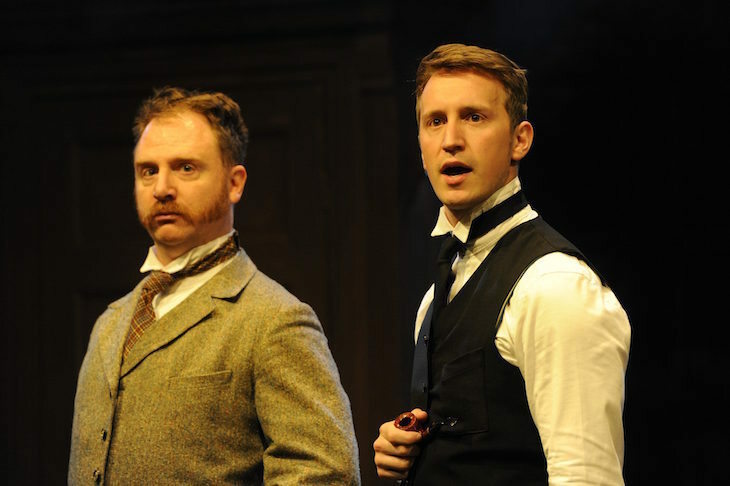 We love the dim-witted Watson and the brooding bromance between him and Holmes. Like Blackadder, there are lashings of silliness, from the butler who randomly announces he’s thinking of jacking it in, to the sudden transformation from boggy steamy moor to sauna, with Watson and Holmes covering their modesty with hand towels. The appeal also lies in the inventiveness and the pace — there are three actors playing 14 parts and as many scenes whizzed through. Catch this Hound before it trots away and prepare to have your tummy truly tickled. The Hound of the Baskervilles, Jermyn Street Theatre, 16B Jermyn Street, SW1Y 6ST. Tickets £30, until 13 January 2018.